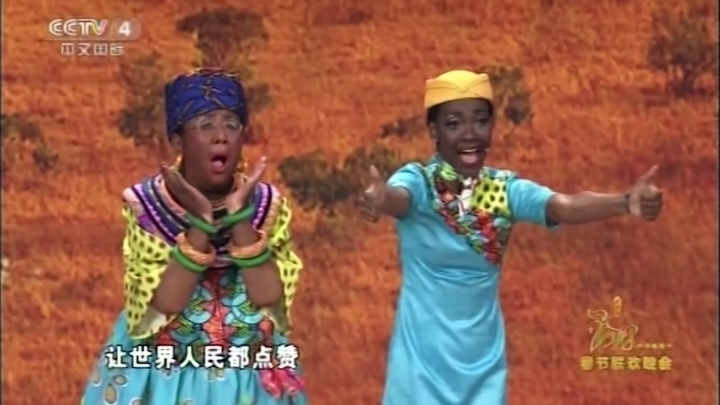 BEIJING — A comedy sketch that featured a Chinese woman in blackface has drawn accusations of racism after being broadcast on Chinese state television's Lunar New Year variety show, although some people in Beijing were left wondering why it would be considered offensive. The skit was shown Thursday night on state broadcaster CCTV and depicted the opening of a Chinese-built high-speed railway in Kenya. 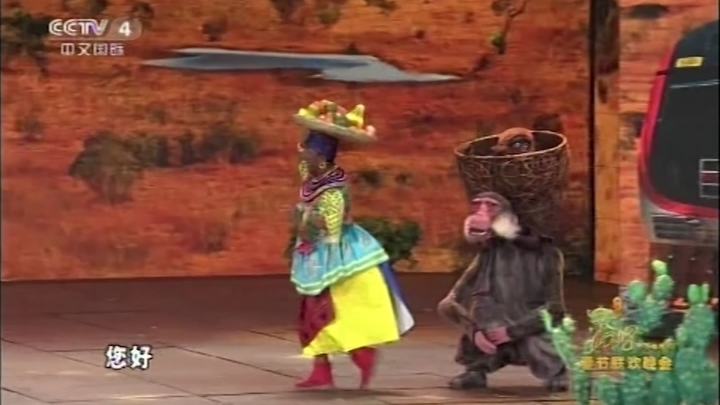 It featured actors in monkey and giraffe costumes, while the actress in blackface donned an exaggerated false bottom and a basket of fruit on her head. The performance was part of CCTV's annual Lunar New Year gala, which draws an audience of up to 800 million and is said to be one of the most watched programs in the world. The 13-minute segment opened with a dance sequence set to Colombian singer Shakira's "Waka Waka (This Time for Africa)" featuring Africans dressed in zebra, lion and gazelle costumes, and actresses playing attendants on Kenya's new Chinese-built high-speed rail line. The skit then began with a black woman asking the show's host to pose as her husband when meeting her mother in order to avoid being set up on a blind date. The host's Chinese wife then appears, ending the deception. But the African mother says she can't be angry because "China has done so much for Africa." "I love Chinese people! I love China," the actress in blackface exclaims. 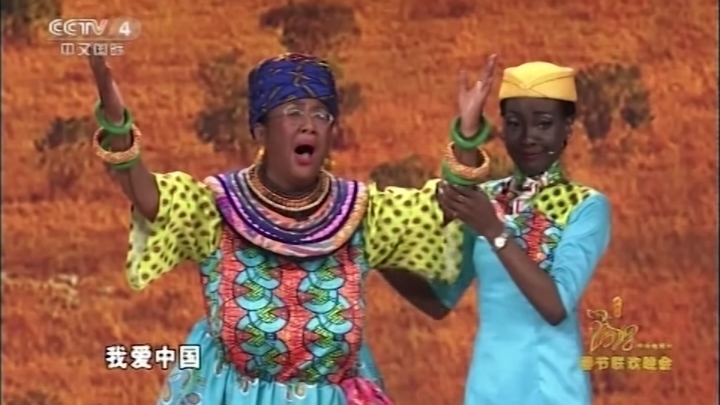 Although the skit, titled "Same Joy, Same Happiness," was meant to celebrate Sino-African relations, many viewers condemned it online, with some calling it "cringe worthy" and "completely racist." But the reaction on the streets of Beijing on Friday was muted, with some saying the criticism was overblown. "It's normal for Chinese actors to dress up like foreigners when performing a foreign play," said Zhou Hengshan, 80. "This wasn't meant to demean any specific ethnic group." Xue Lixia, 20, said she trusted CCTV's judgment in assessing whether the skit was racist. "After all, this is a sketch that was broadcast on the Lunar New Year gala. If there was any racism, then it would have already been cut," Liu said. Blackface is considered especially offensive in the United States because of its strong connections to slavery and bigotry against African Americans. This isn't the first time CCTV's Lunar New Year gala has come under fire. The show is laden with praise for the ruling Communist Party and its policies, especially on culture and ethnic relations, and its portrayals of China's own ethnic minorities, particularly Muslim Uighurs from the northwestern region of Xinjiang, have sometimes been derided as crude.